Yes, Jeff Sessions really is making a difference at the Justice Department, as a new order curbing the department’s own power makes clear. I beg to differ. I’ve covered the Department of Justice (DoJ) quite closely for more than 20 years, and have seen that much of what gets done there – especially the bad stuff – occurs mostly behind the scenes. Under Barack Obama, DoJ became a cesspool of radical-left politics, with all sorts of skullduggery going on not just at the top levels, but at the middle levels of the bureaucracy. Sessions is steadily cleaning out the stables. What he is doing doesn’t always make the headlines, but it does make a difference. A big one. Yes, occasionally he may be going in the wrong direction, as I noted in my column a few weeks back on asset forfeiture. But on the vast majority of issues Sessions is not just a breath, but a gale, of fresh air. The latest example – of many examples, which future columns will also highlight – involves the aforementioned order against the DoJ’s own prior misuses of power. 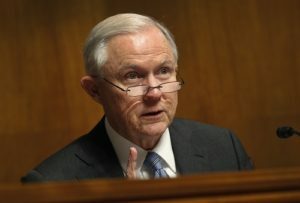 Sessions announced late last week that he is ending the practice of having DoJ achieve what he called “regulation by guidance.” This was a pernicious practice by which DoJ, under the guise of supposedly explaining existing law, would send a “guidance” letter “advising” various entities of what amounted to new policies or legal theories the department would pursue, even if no law or regulation had actually changed…. Landrieu’s last Lap? A cornucopia of coverage….